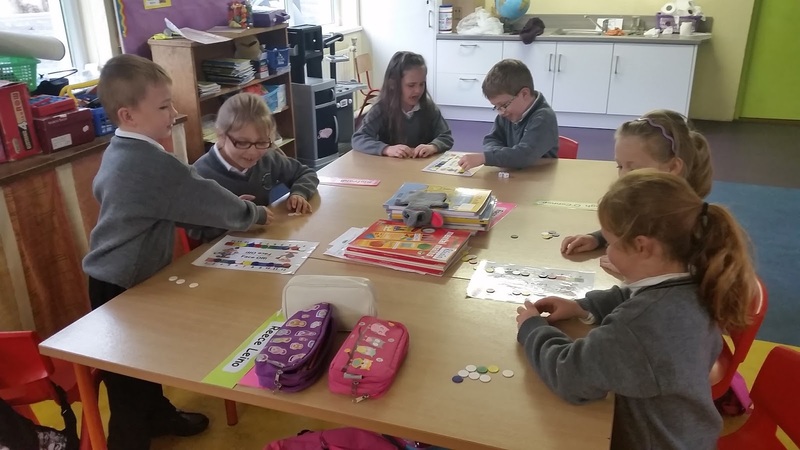 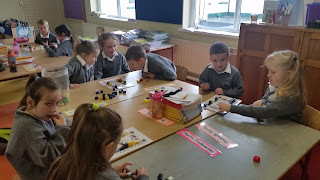 We are working very hard in our Maths lessons this year, especially on Number. 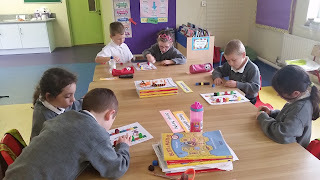 We are counting forwards and backwards, we are using our 'fast fingers' to show numbers, we are adding and practicing our number facts. 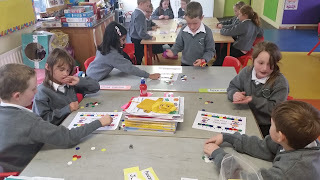 On Friday, we have Maths for Fun. 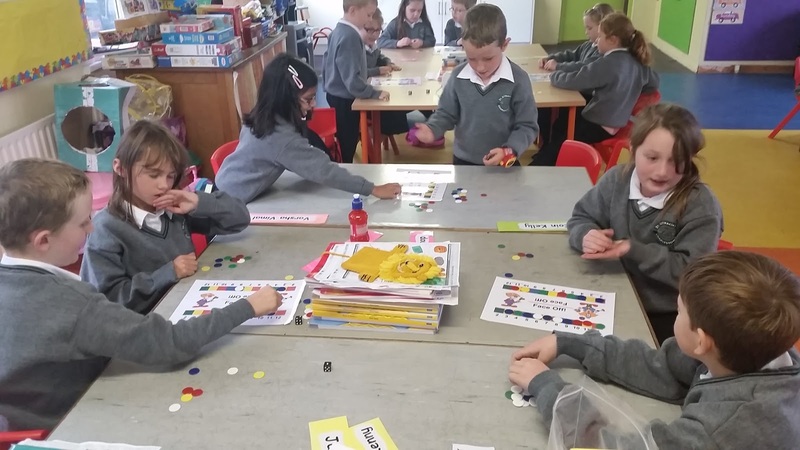 This fortnight we played an addition game called Face Off. Children can play the 'Face Off' game at home. You will need printed template above, 2 dice and counters (or equivalent).